One of the major applications that blockchain technology has promised since its inception is secure digital transactions. This is the fundamental basis of virtually all cryptocurrencies and remains the absolute largest reason why people develop and implement blockchain into their organizations. Because of this, digital platforms like Pinmo, which use online payments for their business structure are taking a huge interest in this extremely useful part of blockchain functionality. Yes, the traditional model for payments between different platforms and their users and clients is still largely based on fiat financial protocols but the promise of blockchain security with decentralized, open-source cryptocurrency payments holds a tremendous amount of appeal. The motives for this are numerous. Instead of a single centralized mechanism for managing payments and recording information that accurately decides specific payouts, blockchain technology offers a mechanism by which all transactions (these could be exchanges of any kind of information but here we’re focusing on payment-related information) are recorded in sequential form inside all the different nodes across a distributed ledger network. A single transaction or sequence of transactions makes up what is called a block and each block is identified with a cryptographic hash function (a sort of tamper-proof mathematical identifier). That block is then validated into the existing sequence of blocks and their own hash identifiers as a sequential addition to those before it. It is then distributed through the entire particular blockchain network being used by a given platform. Because of this sequential cryptographic validation process and its distribution through an entire network. Each transaction in the chain can be verified by date, details and other factors without being in any way falsifiable. This is literally why this powerful technology is called the blockchain, because it’s a chain of cryptographically distinct blocks that immutably connect together. In the case of the Pinmo platform, the distributed ledger infrastructure of blockchain technology is used for two different but related things: First of all it’s applied to the creation and validation of Pinmo’s own cryptocurrency, the Pinmo token. This token is used to pay users of Pinmo for their social media sharing. Secondly, these blockchain blocks are also used to cryptographically record all social media ad campaign activity performed by these Pinmo users so that their activity can be measured and the users accurately paid from advertiser campaign budgets. By the same stroke, advertisers who use Pinmo can analyze the blockchain used by the platform to verify that their ads are being shared by users, how they’re being shared and how they’re converting as well. In other words, in the case of this particular platform, blockchain technology is used not only to deliver secure cryptocurrency payments to users and handle advertiser marketing budgets, it’s also one of the tools used to track all of the performance metrics that are relevant to payments. The Pinmo token used for these digital payments and the ad activity verification described are both based off the same open-source blockchain architecture, which has been custom implemented for the platform’s ad campaign management, token distribution and social sharing needs. Similar digital payments protocols exist in many other types of online applications and platforms due to the sheer security and flexibility of the blockchain. Because this technology is essentially tamper-proof for recording digital payment data, it also delivers a fantastically secure analytics tracking tool that feeds back into the payment tracking aspects of the same block creation protocol. One of the fundamental requirements of ad campaigns is effective analytics. 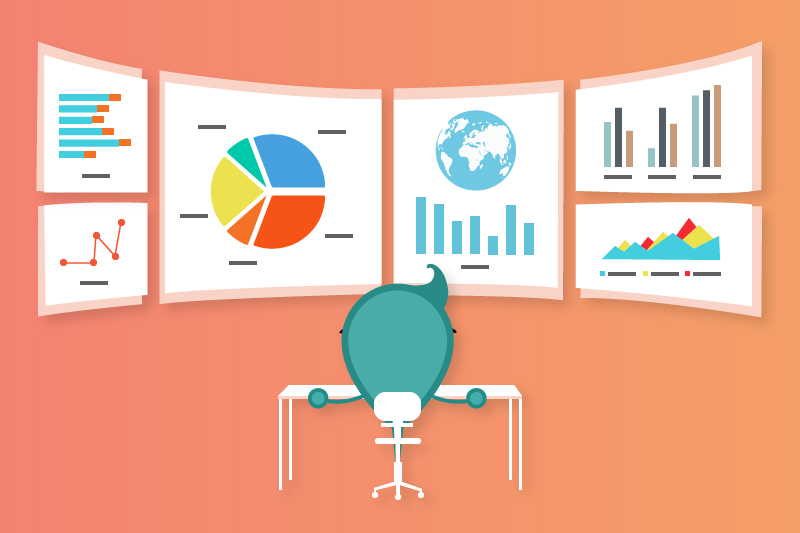 You, as a marketer, want to know precisely how your ads are being displayed, where they’re being shown, how they’re converting and how accurately these metrics are all being tracked. These needs only increase in importance as a given ad campaign becomes more complex. There is, however, a fundamental problem to how these performance analytics have been tracked up to now: A lack of complete transparency. Yes, social or search advertising platforms like Facebook, Google, Twitter and others, as well as numerous small ad management services, have both human and algorithmic systems in place to handle this problem to deliver varying degrees of analytics precision, but they all suffer from ambiguity gaps. In other words, while you can have ad campaign metrics for performance delivered to you in detailed reports, full transparency for verifying the progression of actions that led to them step-by-step is largely out of bounds. This is where blockchain technology such as that used by Pinmo steps into the picture in a distinctly innovative way. In order to explain how it does this, let’s take a quick look at how a basic blockchain works first. In essence, a blockchain is a distributed ledger of sequential transactions (these transactions being events of any kind in which information is recorded and exchanged). 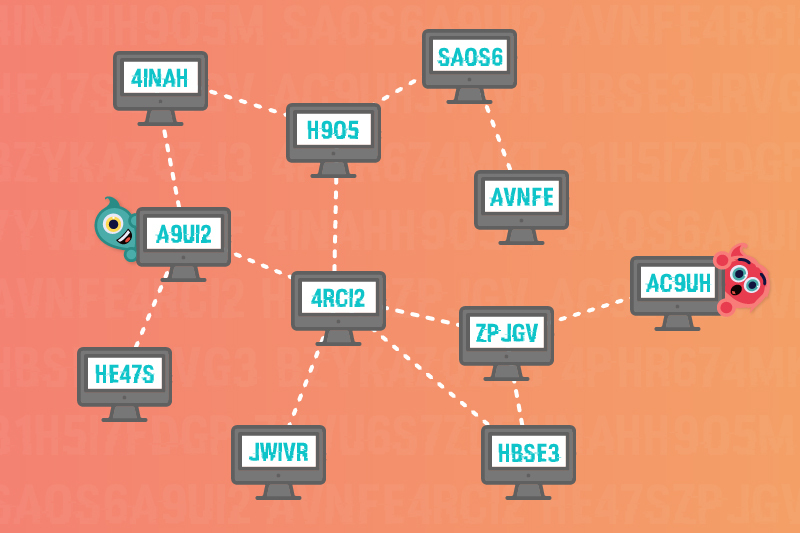 The different nodes, or computers, across which the ledger transactions are distributed all represent parts of that particular blockchain’s network. Every time a transaction happens within a blockchain, it is spread among all these nodes and has to be cryptographically validated by a majority of them through a sort of automatic consensus mechanism that stamps the transaction as a legitimate event in said blockchain’s sequence. When this happens, the transactions being validated are added as new cryptographically stamped “blocks” in the sequential chain of all previous validated transactions. This chain of blocks is spread across the entire distributed network ledger for the sake of additional security through decentralization. The whole thing in its totality is what we now call a blockchain. Since each transaction block comes sequentially after previous blocks and attaches to them by a cryptographically unique mathematical hash process, the sequential integrity and origins of any given block are absolutely secure. This in turn assures anybody who looks at the whole blockchain that the timeline of transactions contained in each block represents completely validated and real events inside the platform that the chain is being run on. Because most blockchains are completely open for detailed examination, anybody can examine every sequence of activity inside each block in minute detail to verify its legitimacy. This description of the blockchain is of course very basic. 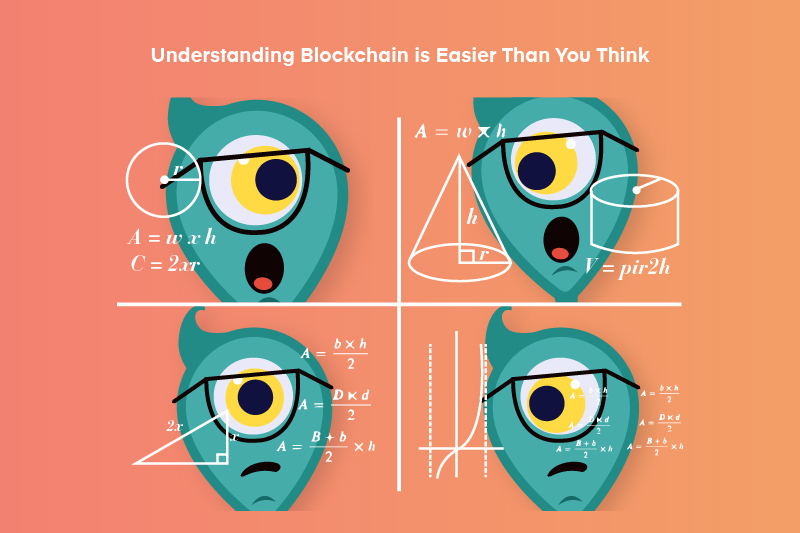 Plenty of additional and highly detailed mathematical processes work behind the scenes to make a blockchain function as it should. However, these basics alone are enough to make it obvious how this technology can be helpful to the validation of online advertising metrics. Basically, by making each possible piece of activity in an ad campaign –be it the creation of an ad, its sharing by someone else, a converting click on that ad by another person and so forth—into a mathematically “tagged” transaction inside some sort of customized blockchain ledger, an advertising platform like Pinmo can deliver perfect campaign tracking. In other words, with blockchain integration of ad campaign activity at its most granular level, Pinmo or any other ad platform that does the same thing can deliver not only overall ad campaign analytics, it can also let an advertising client examine the blocks for their ads for themselves. By being able to do this, the advertiser can see the exact process of actions by the ad platform and third parties that made any given advertisement perform poorly or well. The level of analytics this delivers is far more detailed than has been the case with conventional ad campaign analytics up to now. Well, this basic introductory guide is for you. We’re going to lay out exactly what blockchain technology is at its most basic, how it applies to cryptocurrencies like Bitcoin (and others) and why it’s so important for other things like business and digital transactions. The word “blockchain” itself describes the essence of what a blockchain is. In digitally metaphorical terms, it’s a chain of information bundles called blocks, each of them tied to previous and successive blocks by something called a hash. Each block contains a sequence of digital information (also known as transactions) that has been encoded in such a way so that it’s condensed into a sequence of mathematically generated cryptographic characters called a hash. 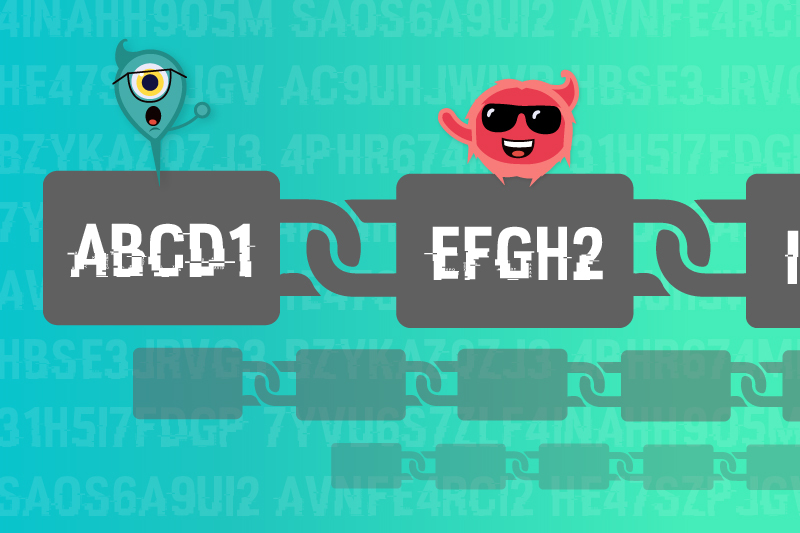 This hash terminates that block and carries over into the next block in a way that creates a chain of connections between all blocks in a blockchain. In other words, a blockchain is a cryptographically segmented ledger of information. (These are just basic examples, real hashes are much more complex). Now comes a second important part to the power of a blockchain: As you can see with the above, each new block contains its own hash of all transactions in that block and a summary of the previous block’s hash. This means that somebody trying to tamper with Block 1 might be able to change its hash but the original authentic hash summary of it in Block 2 will still be registered there, making the falsification of Block 1 obvious. This is a crucial cryptographic security feature of the blockchain. However, you might ask what happens if someone just tampers with the first block and then also changes all successive blocks to reflect the fraud? Well, this is where a second huge security feature of the blockchain comes into play: The data contained in these blocks and in the blockchain as a whole, is not just stored on one server or computer. Instead, it’s copied across a whole network of other computers, called “nodes”. Thus if anyone modifies a whole sequence of blocks on one computer or even multiple computers, the majority of blocks will still register the original transaction hashes for each block and what that majority shows will be what’s valid. This last aspect of the blockchain is what turns it from simply being a cryptographically secured ledger of information and converts it into a DISTRIBUTED cryptographically secured ledger of information. This combination of sequential cryptographic hashing between blocks and distribution across a network of nodes is the basic thing that makes blockchains immutable and highly secure for securing information that can’t be tampered with. There are of course many blockchain types in existence today and they all have their variations. However, the essential design described above applies to most of them and definitely to the important ones that would be used for public financial transactions or record keeping. These commercially used blockchains can be divided into two basic user configurations: Public blockchains, and permissioned blockchains. A public blockchain would be something like the one behind Bitcoin or Ether tokens – anyone can download it, anyone can examine it and anyone can generate new blocks for them (as long as they have the right computing hardware to do so). A permissioned blockchain would be one in which only certified users with permission can access it to read blocks or generate new transactions and blocks. One other fundamental part of any blockchain is the concept of digital identity. 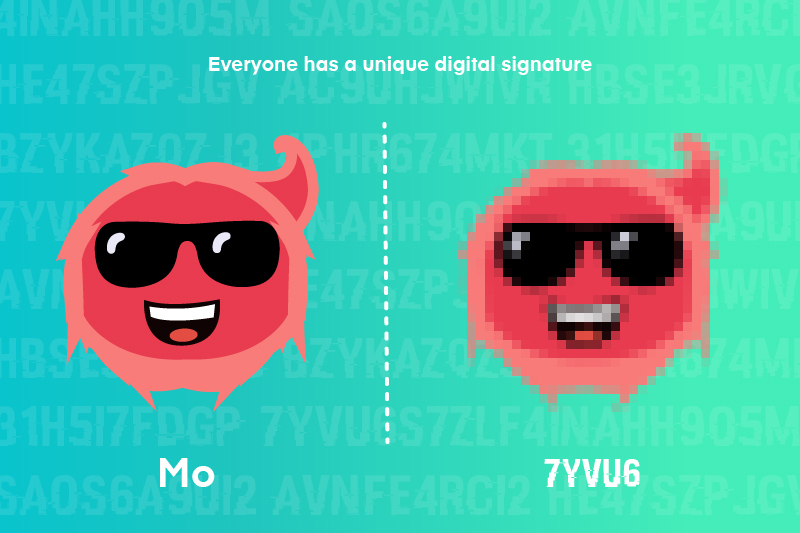 Each user on the chain, generating blocks of transactions, has their own unique digital signature for the transactions they’re responsible for. These are also encoded into individual blocks of transactions and a crucial ingredient to verifying which transactions belong to which person or entity inside a given blockchain. In a closed chain such as that used by a business to handle payments and information transactions for its users and clients, these identities are what allow all users to see who did what and when they did it. The “what” in this case could consist of specific transactions, specific activities or payments in digital tokens. On a final note for the basics of how a blockchain works, we need to mention that the word “transaction” as we’ve described so far could consist of any sort of digital information. This means a blockchain could be used to store and transfer almost anything digital at all. These pieces of information could include information about activities, digital currency (cryptocurrency like Bitcoin) ownership records or records of ownership for any other sort of digital asset. In other words “transaction” simply refers to information being exchanged across the blockchain and noted down in its blocks. A company or organization that uses a blockchain could use it for any kind of information at all. Some blockchains can be used for multiple things at the same time. One example of this is the Ethereum Network, which can host a third party’s code so they don’t need to build their own blockchain from scratch. Through this Ethereum-based blockchain, a company can create its own cryptocurrency for internal use and also track user/client activities of any kind on the same chain across their own network of nodes. Is Social Media A Disruptive Technology? 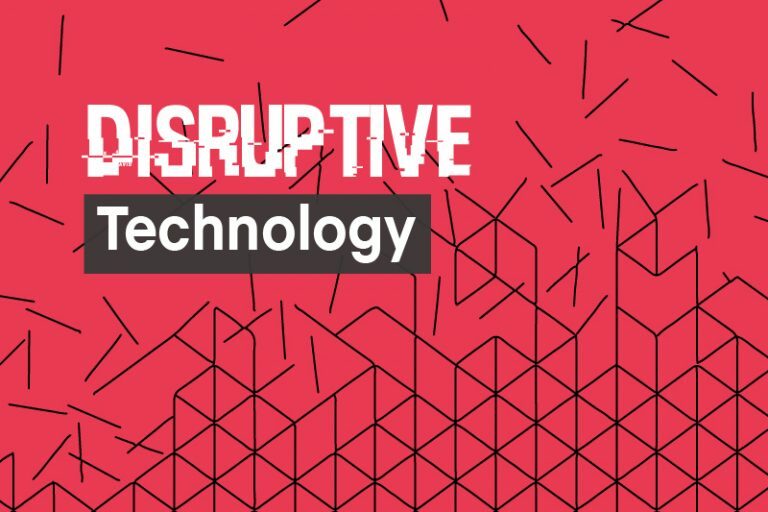 But before we jump the gun, you might be wondering, what is disruptive technology? It sounds pretty hazardous and harmful … but it’s not (unless you’re the technology being disrupted heh heh). At its core, disruptive technologies are any enhanced or completely new technologies that replace and disrupt (hence, the name) an existing technology, rendering it obsolete. Disruptive technologies significantly alter the way businesses or entire industries operate and are so impactful and innovative that they force companies to change the way they approach their business if they still want to be relevant. These technologies go so far as to completely alter the way we work, live, think, and behave. If the idea of disruptive technology is still unclear, let me set some examples. 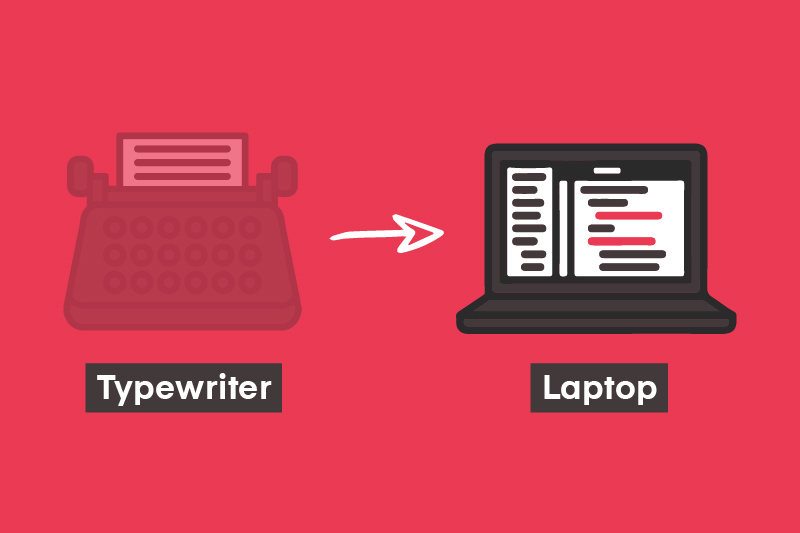 In the past, DVRs were the disruptive technology for VHS recorders (although some of you may be too young to even know what VHS recorders are), PCs were the disruptive technology for typewriters and mainframe computers, and laptops were the disruptive technology for desktop PCs. All of these disrupted technologies are now obsolete and no longer in mainstream use. A prime example of a disruptive technology that you use every day is social media (surprise, surprise). As you probably already know by now, social media platforms facilitate social interaction and information sharing by allowing you to communicate with your networks and share content. For some, social networking has replaced e-mail, texting, and phone and face-to-face interaction – which shouldn’t come as a surprise. Think about it. How often do you call your friends on the phone anymore? If you do, how often do you call your friends vs. how often are you on social media? Do you still text or use Facebook Messenger instead? Do you still email your friends or use WhatsApp to send files? Do you still email photos or just post them on Facebook or Instagram? Because we know how permeating social media is, we’ve decided to build a marketing platform with social media embedded in its foundation. On Pinmo, your customers can take advantage of what they love to do on social media – share! Pinmo allows them to be able to share YOUR brand content among their online connections so that your message gets dispersed to the right demographic you’re targeting and by people they trust. For more information on Pinmo click here! Now back to the subject matter at hand! Today is the age of digital Darwinism where technology and society are evolving faster than businesses can naturally adapt – charging behind a mantra of “adapt or die.” Businesses that are unable to keep up with the changes technologies are undergoing will experience a painful death that could be extremely difficult to resurface from. Any and all companies need to keep up to date with the latest innovations or risk becoming more obsolete than PDA phones (if you don’t know what those are, then you really understand the perils of becoming obsolete). Today, that means ensuring your business has a solid social media marketing strategy and is using the power of social media effectively – or you could risk becoming as extinct as a woolly mammoth. For the future, take caution to recognize upcoming disruptive technologies that could critically impact your business. What will be the disruptive technology replacing social media? Only time will tell. 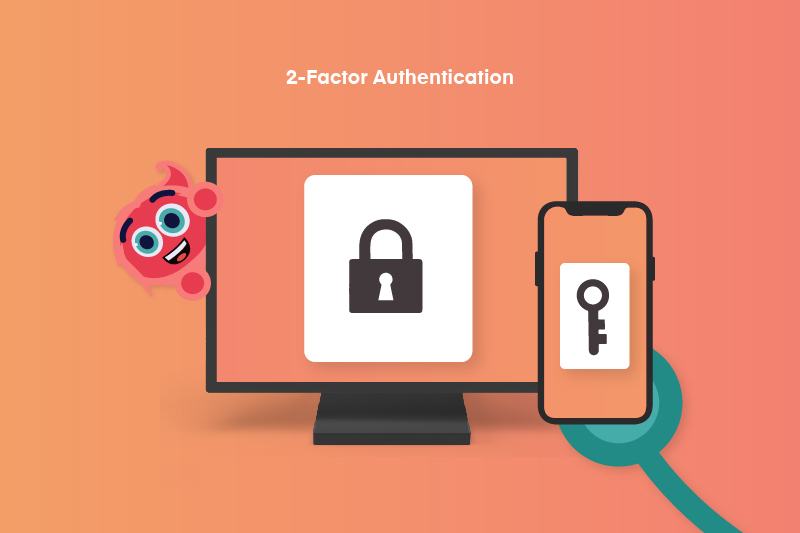 To pull these things off, Pinmo needs to ensure maximum tracking and security for all the transactions both incentivized users and marketers handle within the platform. This is where blockchain technology comes into the picture. It’s being developed into the bedrock of the Pinmo social media advertising system and it lets the platform deliver levels of performance that no other advertising solution can easily match. What is the Pinmo Blockchain? In simple terms, Pinmo uses a customized version of an open source blockchain ledger infrastructure. The Pinmo implementation of Blockchain is still being developed further and refined but in essence, like all blockchains, it allows the platform to track information being transacted on a minute, cryptographically secure and sequential basis. In terms more specific to Pinmo itself, this means that both incentivized user activities and marketer advertising campaign activity can be tracked almost perfectly. Because this is tracking being done through tested, open-source blockchain technology, every share, conversion, and click generated by users are recorded in a way that can’t be falsified or edited. This happens for each user on the Pinmo platform and the information is used to precisely tie user sharing activity to specific marketer ad campaigns for performance analysis and payments. The most crucial thing about the blockchain implementation being developed by Pinmo is that its transactions -or blocks- are cryptographically distributed across the entire Pinmo network itself. This is done in a sequential, cryptographically secure way that makes it impossible to alter the record of which action was done by which users for which advertisers. In effect, the blocks in the transaction chain generated by Pinmo work as distributed ledger entries of activity that can’t be falsified by Pinmo or anyone else because they’re time stamped and spread across the whole network. For users, this means a concrete measurement of what social shares they performed and which ones they need to be compensated for. In the case of marketers, this same blockchain means completely reliable records of exactly how their ads were shared, by who and if they converted. In other words, Pinmo’s blockchain lets advertisers know exactly how their ad spending is delivering real performance. Now here’s what this blockchain implementation means for users and marketers in terms of practical usability. For a user of Pinmo, most of the blockchain technology inside the platform stays invisible. It simply works in the background to track and log their social sharing so they can be paid accurately for their social media shares. 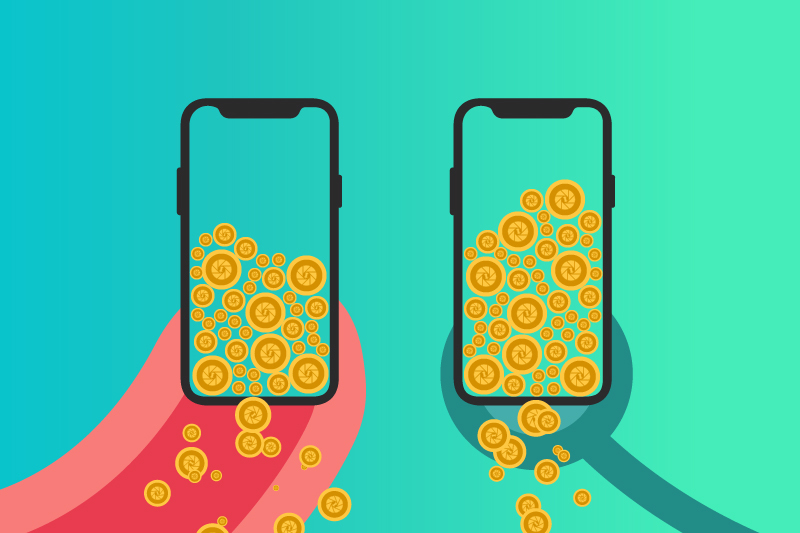 The main point at which a Pinmo user really deals with the Pinmo blockchain is when they accumulate Pinmo tokens as payment. These are the cryptocurrency tokens with which the platform pays users and they’re also based on the same blockchain technology that allows tracking of their sharing activity. The Pinmo token can then be converted either to other cryptocurrencies like Bitcoin and Ethereum tokens or into fiat cash within Pinmo before withdrawal. Pinmo is also introducing a bonus structure for high performing users who fulfill milestones with their accounts. This will be paid out in either Bitcoin or Pinmo tokens. In essence, Pinmo users see the platform’s blockchain at work mainly through the accumulation of Pinmo tokens they’re paid in. Marketer engagement with the Pinmo blockchain is a bit more robust than that of users. 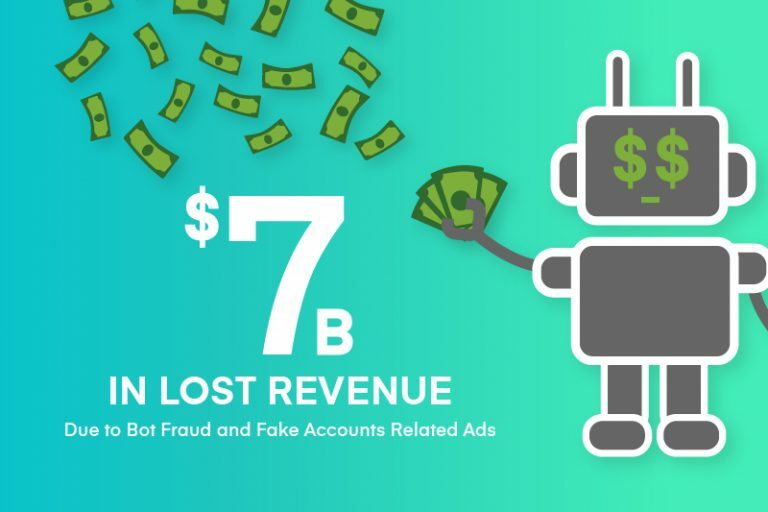 One of the major benefits of the Pinmo platform using this technology is that it lets particularly vigilant marketers have complete access to the details of how their ads are being shared by the platform and its users. All of the data for these metrics is actually encoded into the networked blocks themselves much like financial information in an accounting ledger. 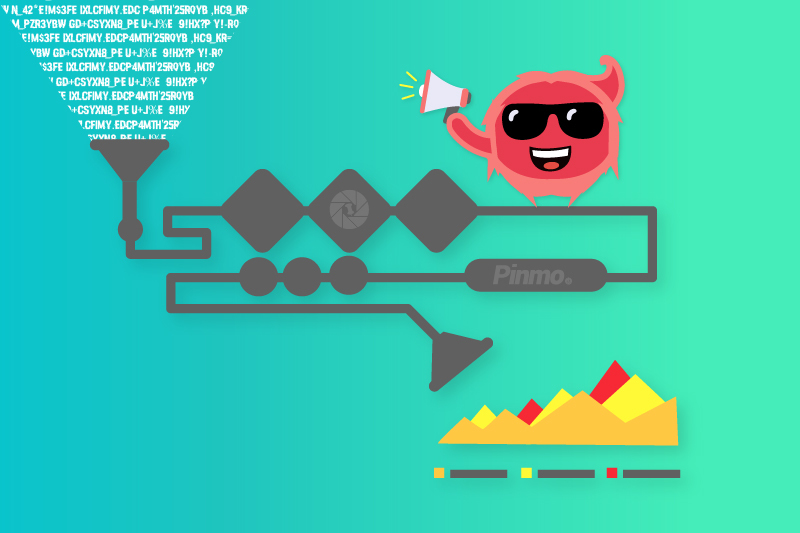 Any marketer who’s using Pinmo can then verify the real evolution of their campaigns by checking the complete record of each converting action and its results inside the Pinmo blocks themselves. This effectively means an unprecedented level of advertiser insight into every single bit of activity that their Pinmo ad campaign budget is being spent on. 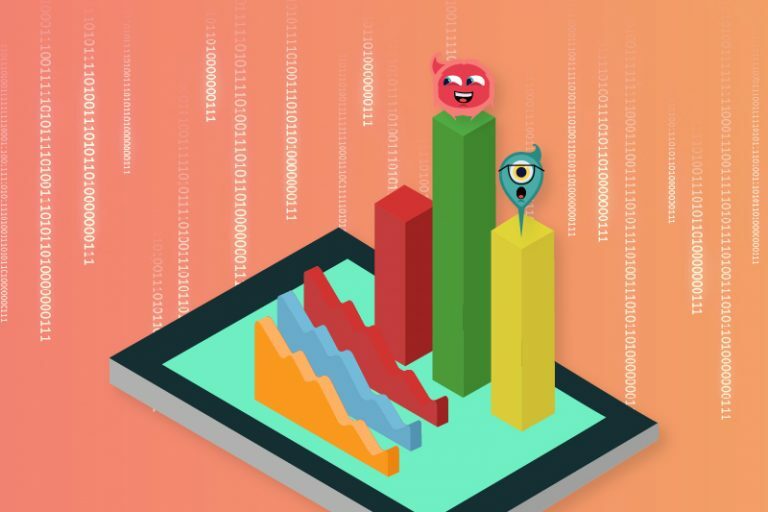 The social media advertising industry generally offers nowhere near this much scrutiny to its marketing clients, and Pinmo is unique in how deeply it lets advertisers delve into the metrics of their ad performance with blockchain technology. Pinmo integrates blockchain infrastructure to its already very unique social media advertising strategy for levels of tracking and analytics reliability that aren’t available from any other advertising platform. Advertisers can watch the exact performance of their ads nearly in real-time as they’re shared by Pinmo’s users, and know exactly how much return they’re getting for each of them. Users of Pinmo get the same level of security for that they’ll be rewarded accurately for their own actions. Pinmo’s blockchain backbone promises to keep delivering these levels of transparency and trust for both no matter how much the platform scales up in size. Have you ever watched an episode of MythBusters? Well, if you haven’t, it’s a TV series that puts some of the world’s most iconic scenes, phrases, and myths to the test and challenges their truth. In today’s blog, we’ll do something similar and put some of the biggest social media myths to the test. 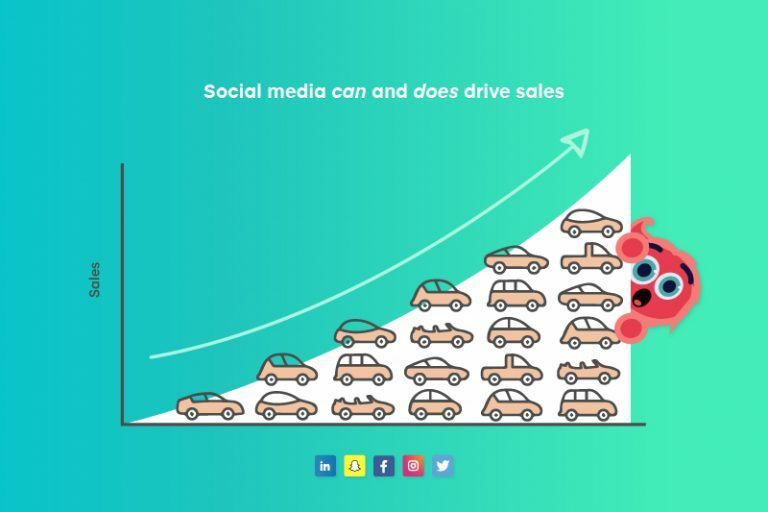 We’ve heard this one before: Social media can’t drive sales. But the fact is, this isn’t true. Social media can and does drive sales – the key is to post quality content regularly. If you frequently post content that your followers genuinely enjoy, they will become engaged and interested. An audience that is engaged and interested will foster stronger customer relationships and enhance brand awareness – which all leads to increases in sales. Contrary to popular belief, followers are not the best metric to track. Don’t get me wrong, followers are good metrics since you need to have a following to be successful in the first place. BUT, they’re not great metrics as they are generally only vanity metrics and don’t directly affect the success of your social media strategy. So, what is a great metric? 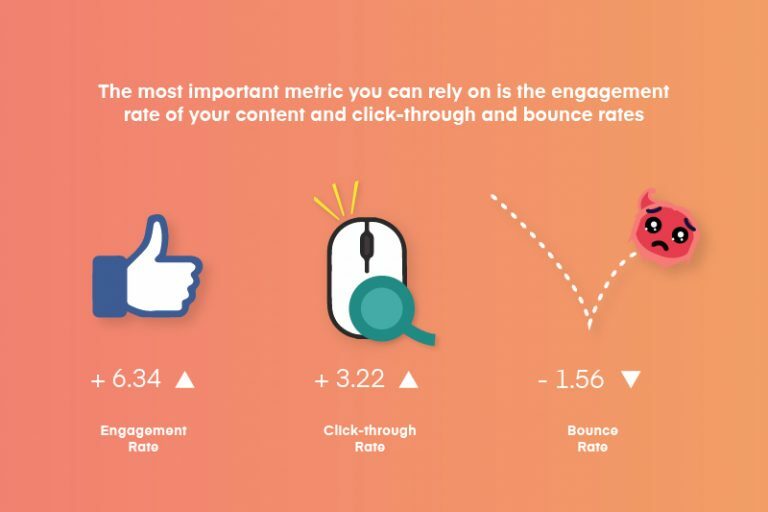 The most important metric you can rely on is the engagement rate of your content and click-through and bounce rates. Even with a small social media following, you can be successful if you are directly connecting and engaging with your followers and they’re engaging back. These engagements turn your audience into loyal followers, long-term paying customers, and even brand advocates! The belief that businesses that engage in social media need to be on every social media channel couldn’t be more wrong. In fact, being on every social media channel could potentially do more harm than good for you, especially if it’s a channel that’s costing you more than you reap. 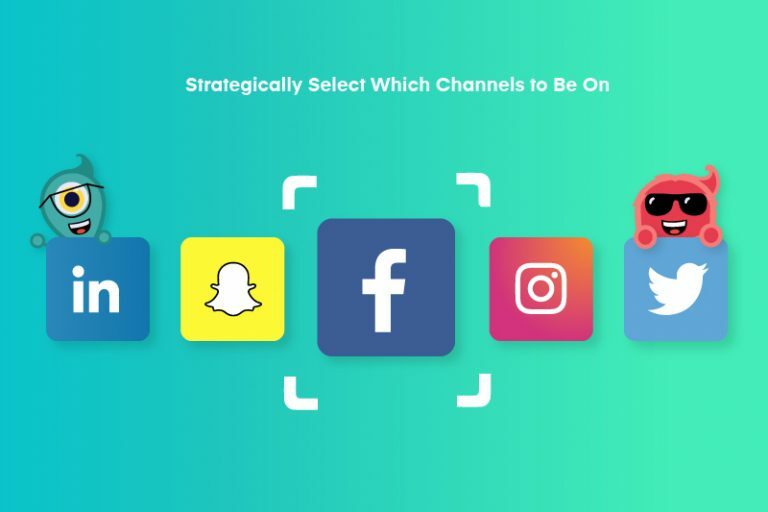 Not every single social media channel is going to provide you with the same success and you can’t always expend your efforts on every viable project or channel – which is why you need to strategically select which channels to be on. 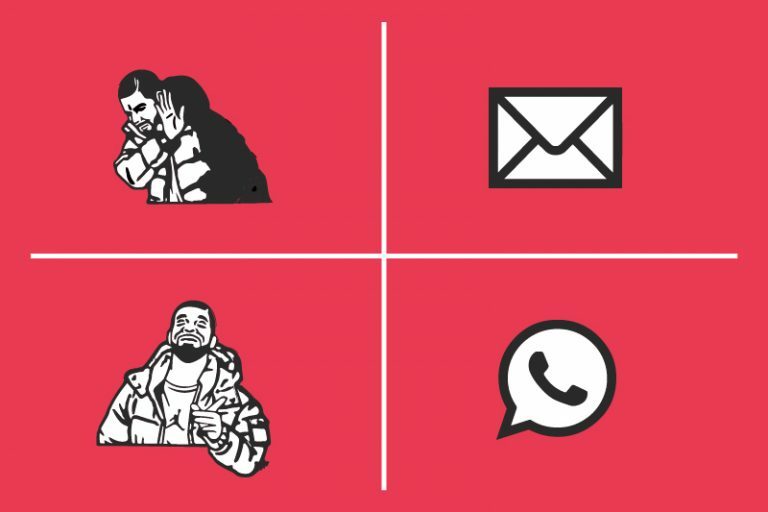 Now, we’ve just debunked some of the greatest social media myths and proved them wrong. While the world of social media still has many more mysterious and myths to be debunked, that will be saved for another day. 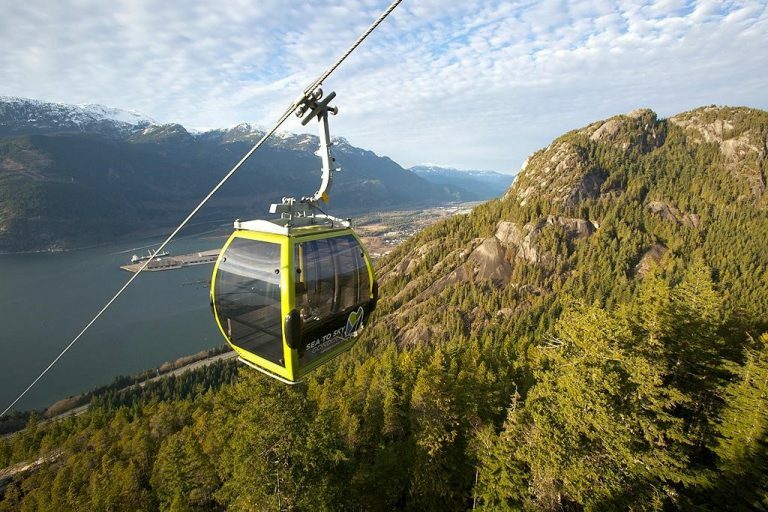 The Sea to Sky Gondola is a beautiful natural tourist attraction located in Squamish, British Columbia, at the heart of the world-famous Sea to Sky Corridor. 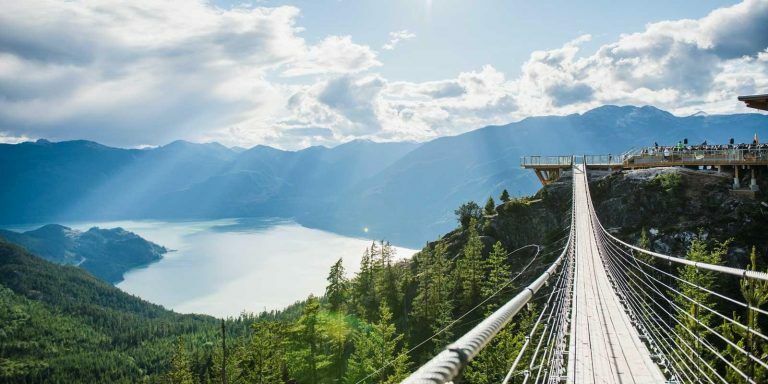 The attraction features three main viewing platforms that offer new and exciting views of surrounding mountains and the serene ocean below – the Summit Lodge Viewing Deck, the Chief Overlook Viewing Platform, and the Spirit Viewing Platform. The Summit Lodge Viewing Deck is the first of the three viewing platforms that guests encounter. 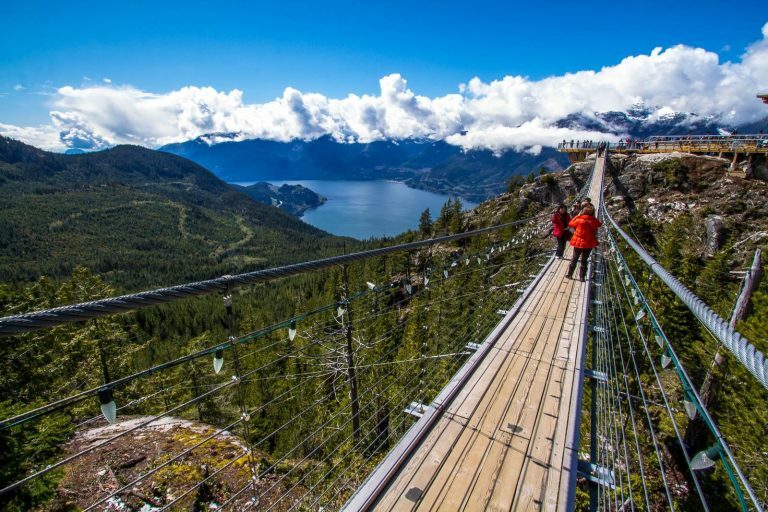 This viewing deck offers unparalleled views of Howe Sound, coastal mountain ranges, and the famous Co-Pilot and Sky Pilot mountain peaks. The Chief Overlook Viewing Platform hangs over hundreds of meters of sheer drop and is a unique opportunity to stand close to the edge and see the landscape surrounding Howe Sound. The Spirit Viewing Platform features interpretative information displays along the trail where you can learn about the surrounding landscape, wildlife, and Stawamus First Nations culture and history. For Sea to Sky Gondola, Pinmo helped their content spread farther, engage better, and perform substantial returns on investments. In early 2018, Pinmo created advertising campaigns for Sea to Sky that helped them accomplish their goal of receiving more attention and provided direct access to the Chinese and Asian community. The campaigns were promoted and released specifically during Family Day and Lunar Chinese New Year and helped Sea to Sky achieve their goal of redirecting traffic to their website to purchase tickets. Pinmo’s campaigns for Sea to Sky proved to be successful and prosperous for their reach into the Asian and Chinese community and helped them achieve their desired target goals. Sea to Sky’s campaigns received 5992 unique total impressions and 523 unique total clicks. For Sea to Sky, Pinmo brought real-world value metrics that re-invented the relationship between advertiser and the average social media user. As a result of the campaigns, Sea to Sky accomplished their goals, increased their reach and traffic within the Asian community which provided prosperous results for their sales goals. Overall, Pinmo helped bridge the gap between Chinese and Asian audiences and directly connected them with Sea to Sky’s attraction – increasing their reach and brand loyalty. 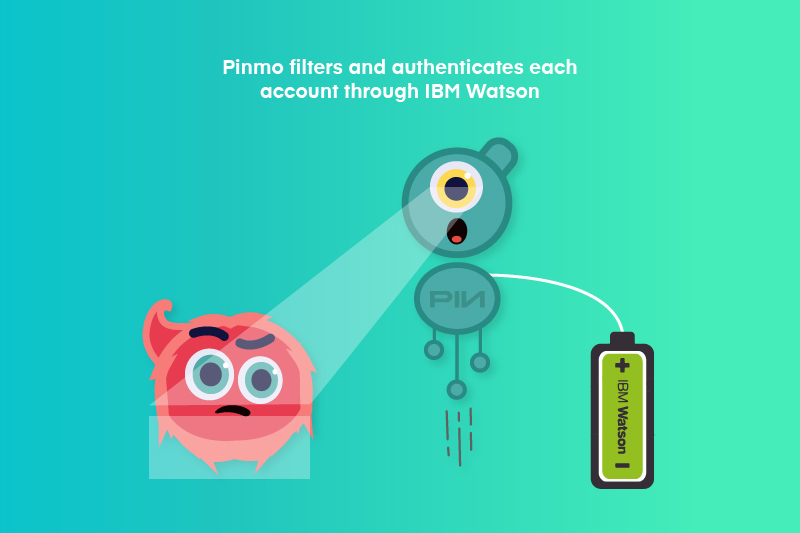 Pinmo is a performance-based marketing platform powered by IBM’s Watson. As an intelligent marketing platform, Pinmo creates Ads that Learn. Watson is a system developed by IBM that has multiple functions compiled with business data collected over several years. Watson is able to ingest, enrich, and normalize a wide variety of data types without any additional integration. This allows us to leverage data from a vast range of sources easily. Because Watson is on the IBM Cloud, Pinmo maintains ownership of our data, insights, training, and IP. In addition, Watson also offers persistent data stores, robust data science tools, and a multitude of other features. As Watson is able to processing mass amounts of data, it’s able to understand the language of digital marketing and social media to tap into a deeper domain of knowledge – helping to make more informed decisions faster and more accurately. Today’s marketers have little to go on in terms of credibility and verifying their vision. With Pinmo, this will no longer be an issue. The Pinmo System will have several key technological features that help provide an elevated level of quality assurance to advertisers. By integrating our AI with IBM’s Watson AI system, we establish authentication as well as user filtration. 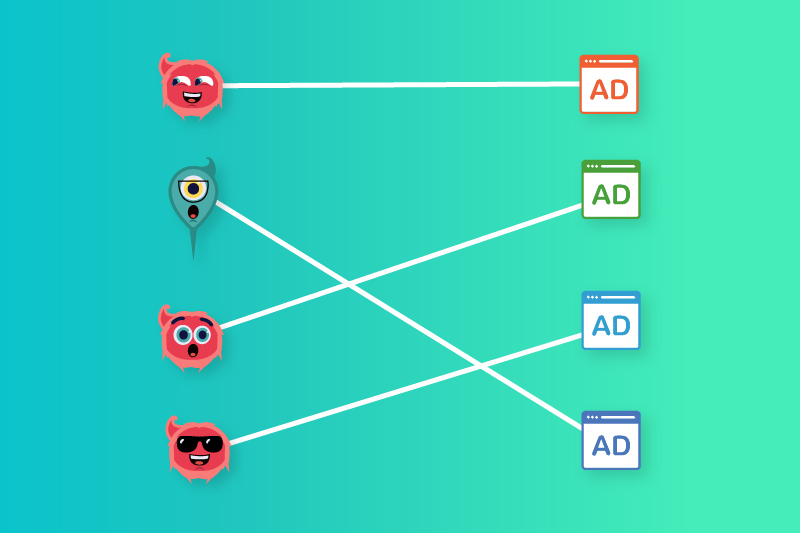 Pinmo filters each user via their profile created through AI and selects the users with the highest affinity to each ad, pushes ads to those users, and then performs optimizations with the returned data. We can then isolate each channel the ad has been distributed to and compare their effectiveness for analysis and optimization. With accelerated research and discovery, Pinmo can spend less time looking for the information we need, and more time acting on it. Watson easily processes millions of data points to ensure that what’s most important is worked on first. Watson enriches interactions by reducing response times, increasing the number of transactions, and making every interaction meaningful and productive. Watson uses AI to constantly monitor the condition of systems that power Pinmo – ensuring that any problems won’t disrupt our work. Watson combines everyone’s expertise with the industry’s latest learning. Watson trains systems to understand and keep up with constantly changing regulations and privacy obligations. 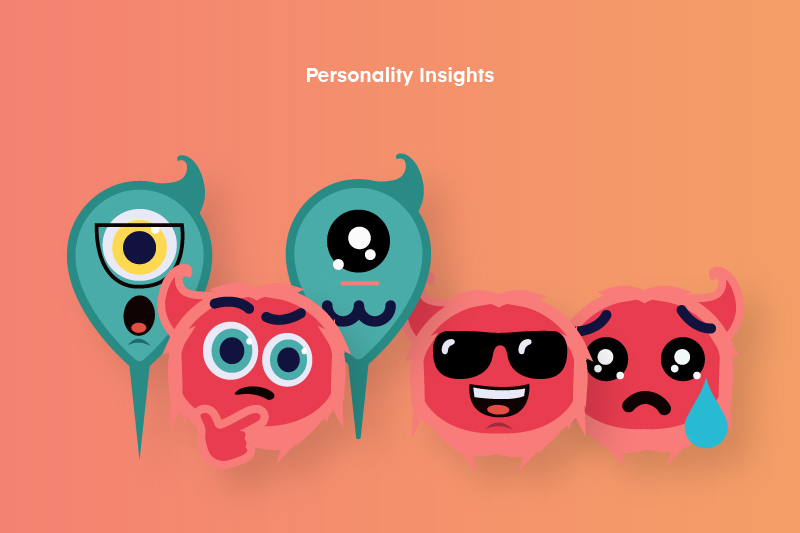 One of Watson’s services consists of Personality Insights. With Personality Insights, Pinmo is able to predict personality characteristics, needs, and values through written text. With this, Pinmo will be able to understand users’ habits and preferences on an individual level, and at scale. Additionally, we will be able to get detailed personality portraits of our users, understand their consumption preferences, and tailor the customer experience for them. 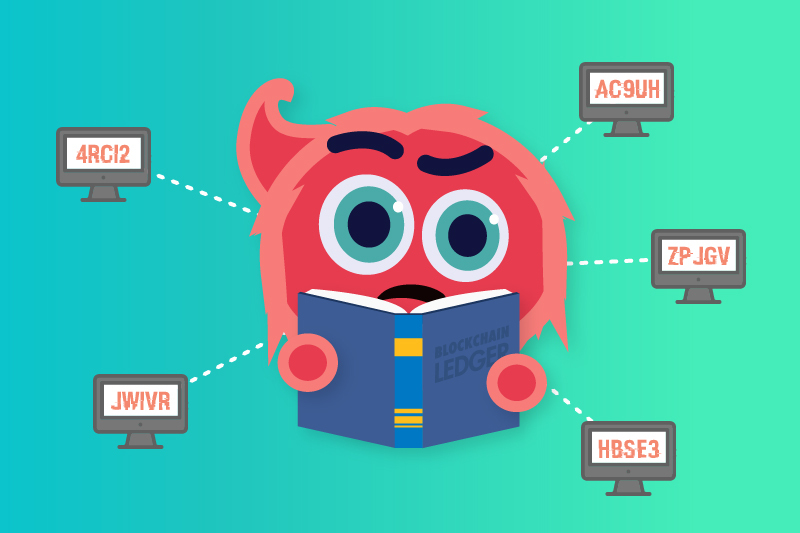 With Pinmo powered by IBM’s Watson, we’ve created Ads that Learn. Experience Pinmo for yourself and join the digital marketing revolution.